How original! I like the card design and love that you did the back of hoppity. What a fun card! 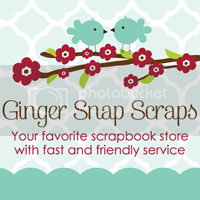 I'm enjoying this hop, and love Cori's new webstore @Ginger Snap Scraps. I've already made my first purchase from GSS -- and my experience was WONDERFUL!! Welcome, Cori! Super cute Easter card! Very creative! Oh my gosh! Totally cute! Love the bunny. Nice being in the hop with you. Very cute! I love it...and the colors are great! Soo cute- I love the bunny tail. Very cute--I like the papers and the bunny tail. Love the bunny's pom-pom tail--sooo cute! Thank you for stopping by my blog--I'm now following your blog too! I can't wait to be bloggie friends!